The American DJ Startec 48-Inch Black Light adds an impressive, fun glow to your party, stage, or DJ set. This 20-watt black light features 96 SMD UV LEDs for super high output, a simple on/off switch, and a 3-foot cord so you'll always be in reach of an outlet. It is a fully-assembled light fixture that is easy to transport, quick to mount, and operates on 100-240 volts. 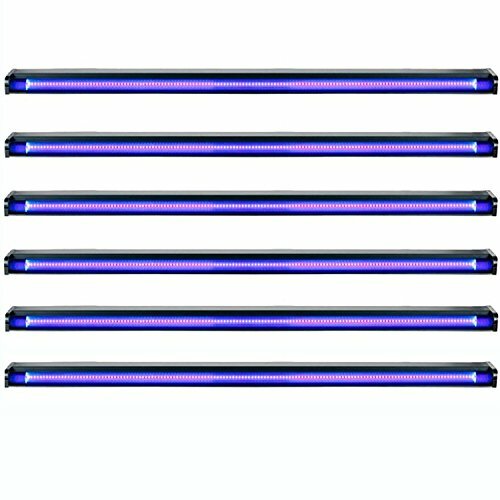 Great for parties, weddings, and any type of occasion needing special lighting, the American DJ Startec 48-Inch Black Light illuminates your festivities.